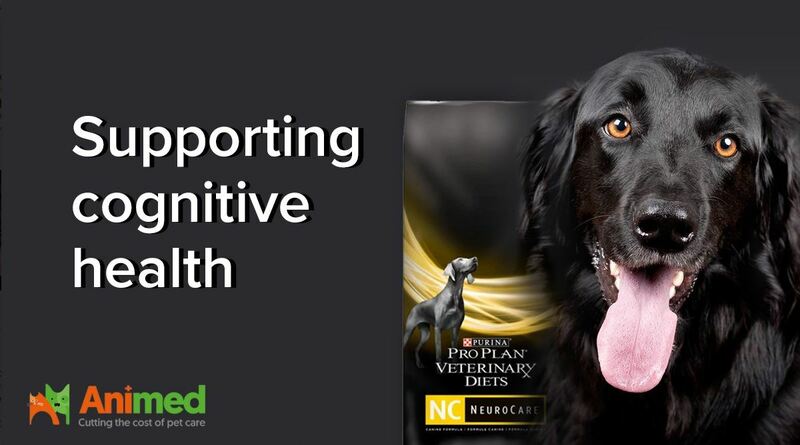 Purina Pro Plan NeuroCare NC is a dry dog food, part of their Veterinary Diets range. It’s usually recommended to support cognitive health in older dogs and can make a real difference to their mental agility. Reviews from owners who have used Purina Pro Plan NeuroCare NC have reported a range of beneficial changes to their dog’s engagement levels, basic routine tasks and more. If you have an older dog and you’re concerned about their mental ability, talk to your vet and ask whether Purina Pro Plan NeuroCare NC may be a suitable in supporting your pet as they age. Don’t forget, if your older dog is on prescribed medication, you can buy it from Animed Direct for less than your vet practice. Simply search for your pet’s medication on our A-Z to see how much you can save.